If you are not shown proper identification, shut your door and immediately call 911. 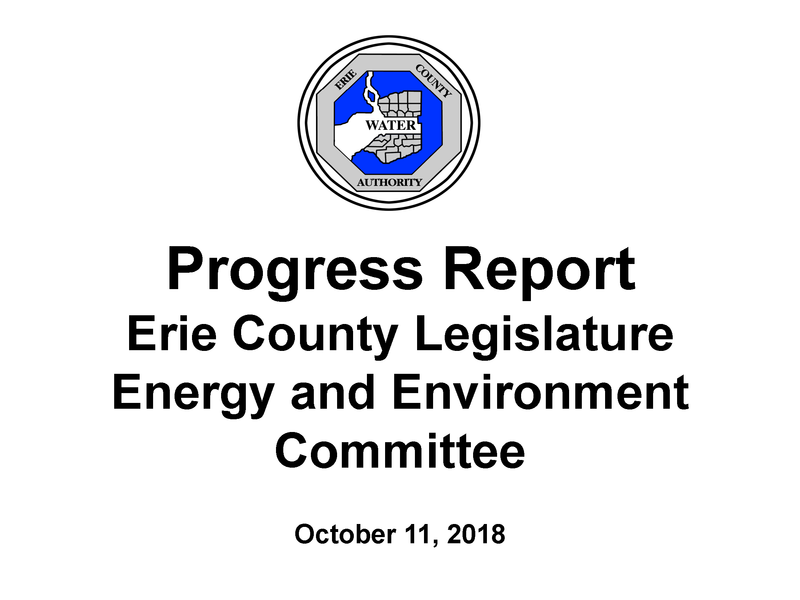 Buffalo, New York - The Erie County Water Authority (ECWA) today released its 2018 Annual Water Quality Report (AWQR). 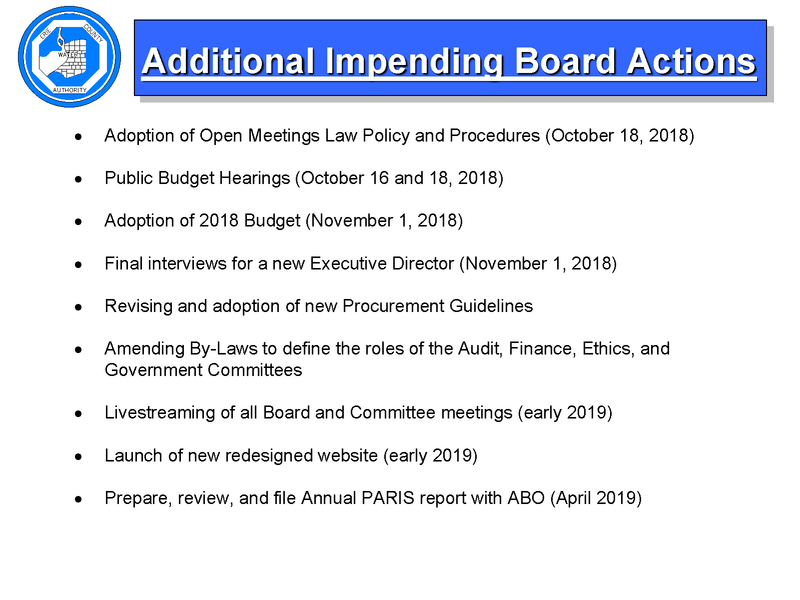 The report fulfills the United States Environmental Protection Agency's (EPA) requirement for public water suppliers to annually prepare and deliver a consumer confidence report. 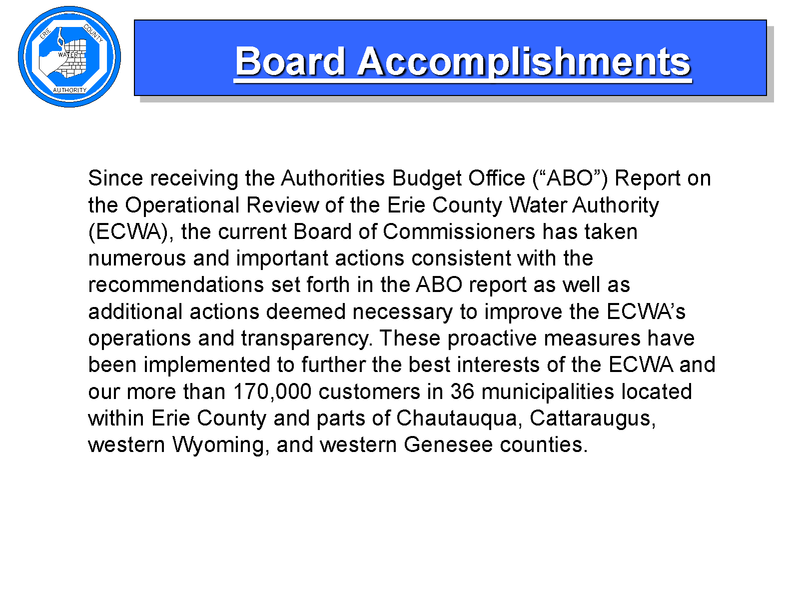 "We are once again very pleased with the results of our water quality monitoring report for 2018," said ECWA Chairman Jerome Schad. "Our customers deserve to know and understand the quality of their drinking water. 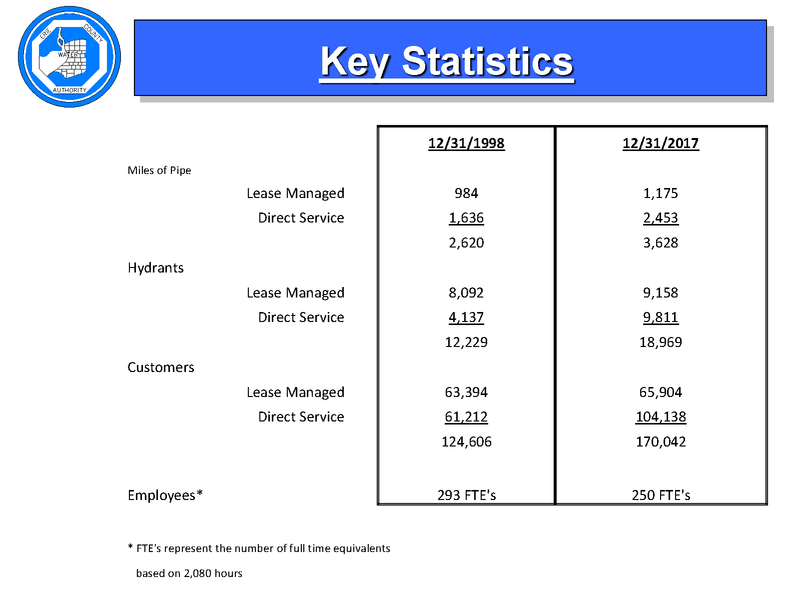 Our Annual Water Quality Report provides that information and assures our customers that they are receiving safe, high quality drinking water at a very affordable cost." Visit www.ecwa.org/alerts to enroll in our new notification system: ECWA Alerts! 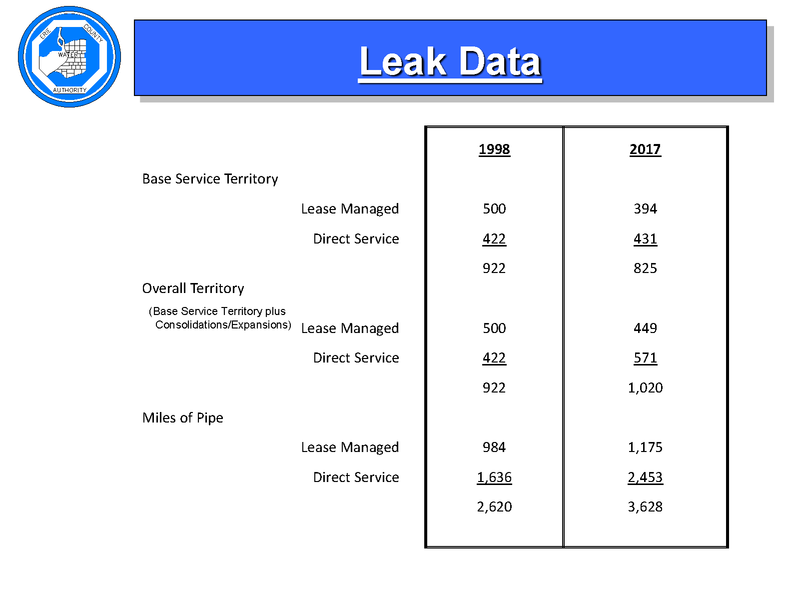 04-18-19 ECWA RELEASES 2018 ANNUAL WATER QUALITY REPORT. 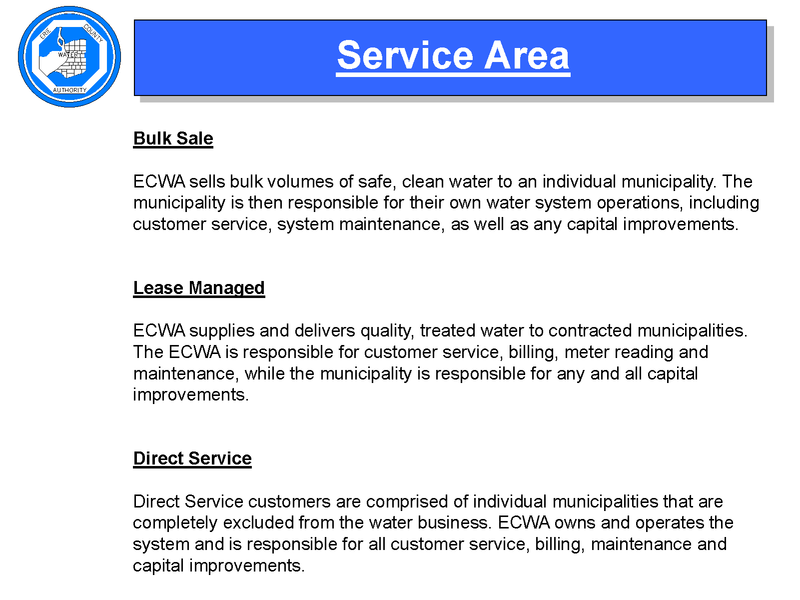 03-04-19 UPDATED STATEMENT FROM ECWA REGARDING STATUS OF CURRENT WATER MAIN BREAKS. 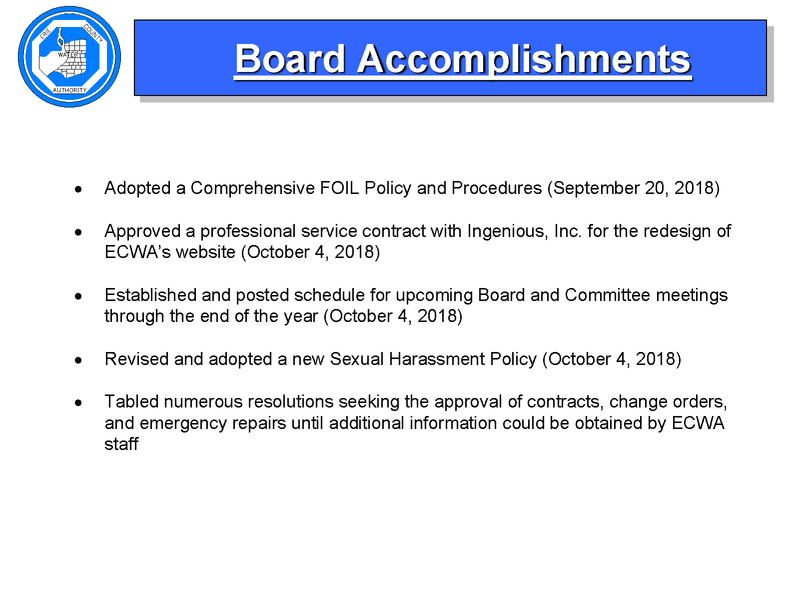 02-13-19 STATEMENT FROM ECWA EXECUTIVE DIRECTOR JOHN MYE III REGARDING EMPLOYMENT STATUS. 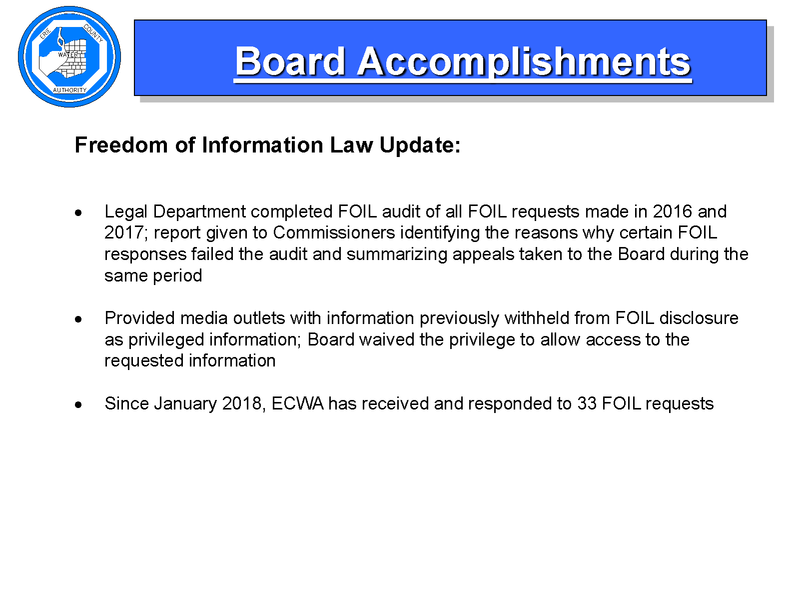 * Notice of Freedom of Information Law Policy. 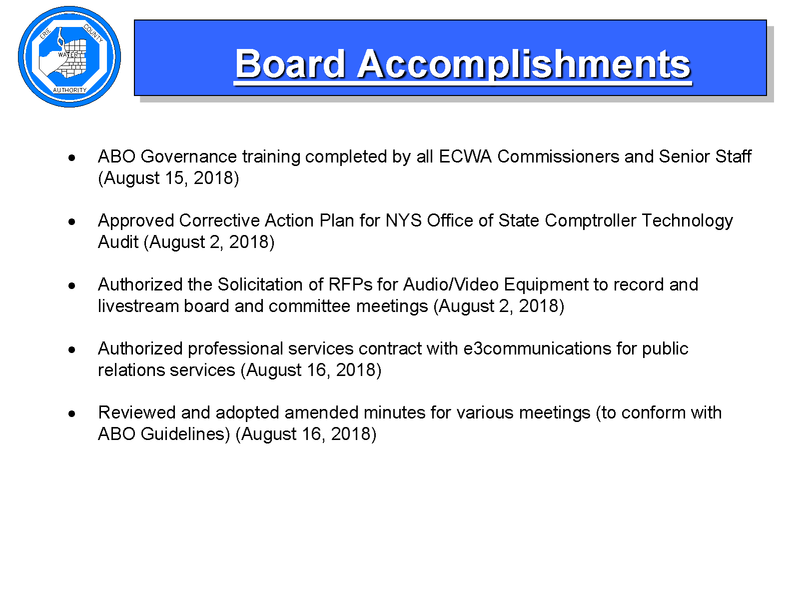 * Starting in January 2016, the Erie County Water Authority will be advertising formal contracts on the New York State Contract Reporter website. 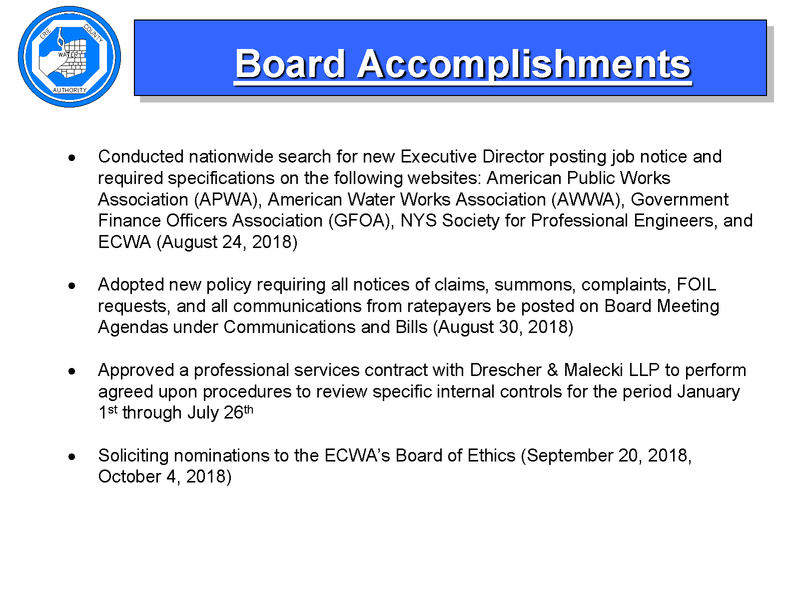 Join our Email list or follow us on twitter to receive news from ECWA about our operations, customer information, emergency alerts and more.